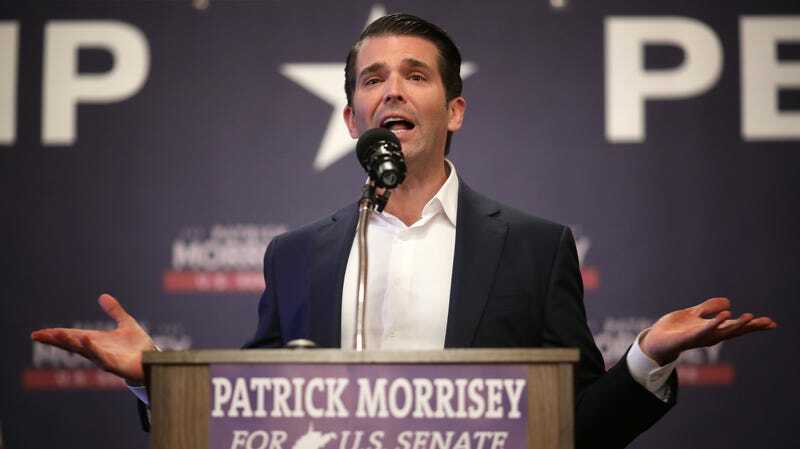 A blocked number involved in a series of phone calls made to Donald Trump Jr. prior to the now-infamous 2016 Trump Tower meeting apparently did not belong to his father, according to new evidence from the Senate Intelligence Committee. The blocked numbers actually belonged to two of Don Jr.’s “family friends,” according to reporting from the New York Times. The investigators have phone records showing that Donald Trump Jr. spoke with two family friends who used blocked numbers — Brian France, the chief executive of Nascar, and the investor Howard Lorber — as the meeting was being set up, according to the people. Mr. Lorber had significant investments in Russia and traveled to Moscow in 1996 with President Trump as they considered building a Trump Tower there. For the younger Mr. Trump, the revelation that he had not called his father was seen among Trump allies as a victory over Democrats at a crucial moment in the investigation, according to people close to the White House. He may not have called his dad, but will his dad ever call him?